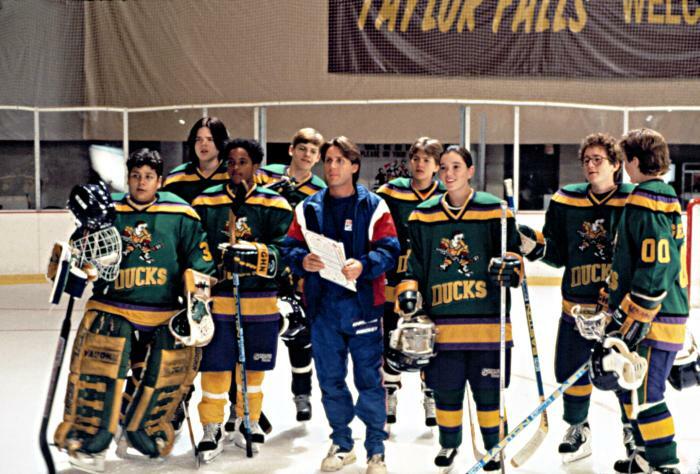 With most sports now in the off season, now is the perfect time to start getting ready for the new season, whether its football, soccer, ice hockey, or anything else, there is no better way to gear yourself up than with a good sports film. With these films, you don’t even need to be a fan of that sport, so the only films that have made it on this list are those that transcend being merely a sports film and allow even someone who doesn’t like sports to enjoy them. Do you wish to be a sports enthusiast and at least basically athletic? Or how about foreign technological devices that can help improve your physical performance? Well, here’s the good news for you, introducing the latest inventions of wearable devices in CES that will augment your performance in every sports game! These new sensor-fused wearable device has the capability to provide data regarding your vital stats and bio status on the field and in real time. Nowadays, putting on wearable devices particularly watches in monitoring your performance during sports or heavy physical activities wouldn’t be appropriate at all for it may lead injuries to other people participating in the game or exercise, or it may injure you as well. With this problem in mind, designers came up with an ingenious idea called the Game Traka which was recently unveiled at CES. It is a device capable of measuring the speed on the user’s exerted effort and gives off calculated data that can be viewed on your smartphone. It is a handy device that is rectangular in shape that has a built-in GPS uplink that updates your location five times per second automatically. Also, it manifest a certain percentage rate of the user’s performance against a 100% ratio. This wearable device persuades the user to surpass his current outcome. This said device is cheaper compared to other sensor-fused devices that are used by professional athlete in different fields of sports, which cost thousands of dollars each; whereas Game Traka costs only $300. 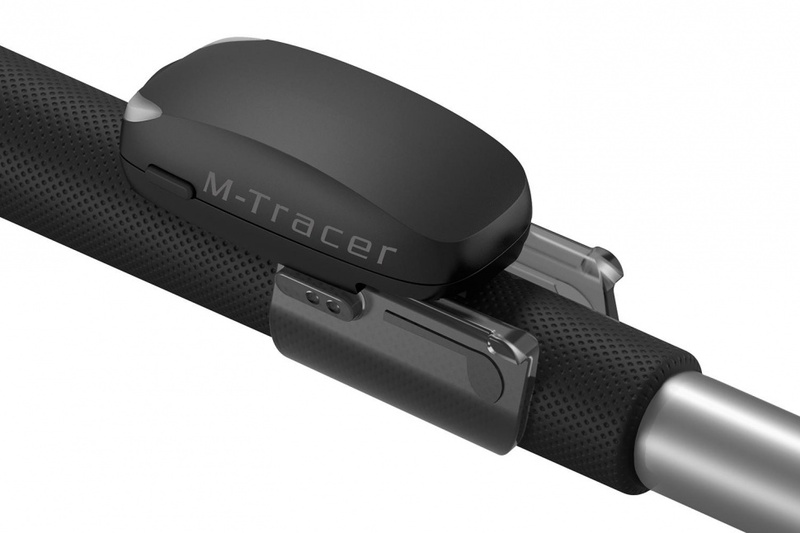 M-Tracer MT500GII was announced at CES back in 2014. The M-Tracer is a device commonly used and attached in golf clubs and it is not an ordinary tracking device compared to other devices. The M-Tracer is capable of apprehending and analyzing the speed of the club, the angle, and also the impact through the use of a smart phone app in 3D. 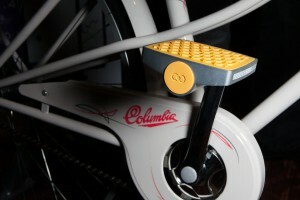 “Connected Cycle” one of the latest innovation of the decade, also known as “smart pedals.” The said invention comes with an enclosed GPS and cellular chip is a product of a French company of the same name. The good news is that it doesn’t need any electric current or life batteries for it to work, once the pedal rotates it functions automatically. By the use of the smartphones the smart pedal notifies the user about its location, this then will help you to worrying less about it being stolen, because you could track it via your smartphone in real time. It is capable of recording data about the speed and direction of the cycle and what’s more amazing is that it provides details of the amount of calories that you have used in order to paddle the connected cycle. It can be installed in less than two minutes. Though the company cannot produce units for consumers yet at the moment, but it is a very promising technology. Playing contact sport, especially those that can likely cause head injuries throughout the game’s duration and/or the frequency that a player plays the game like football. Considering that the head is one of the essential part of the body, one should always be extra careful in playing extremely physical games. Knowing the fact that players do not know how many times they’ve been hit by their opponents at each encounter and the impact that they’ve sustain during the game; it is wise to regularly consult with a sports medicine expert. 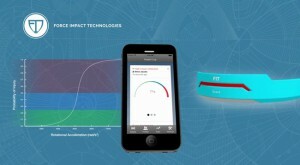 Or just wear Fitguard as it is designed to monitor all head injuries, impact trauma and concussions. Fitguard is created by Force Impact Technologies which designs a mouth guard that detects the impacts acceleration of the ball when it hits the head area of your body. It is characterized into three colors the green represents low impact, blue for medium impact and red for high impact. Furthermore, another mouth guard extended device was invented by i1 Biometrics called Vector Mouthguard that can be applicable in an American football game, because of its outside mouth extension which is intended to be connected to the helmet and may have more improved sensors in it to detect injuries and impact traumas. The NFL on Sunday. Your team is playing out a close 4th quarter with victory or defeat either side of a very fine line. A routine commercial break occurs… and you see the face of Eric Cartman making a mockery of your team’s name. For fans of the Washington Redskins franchise, this is pretty much their experience watching on Fox yesterday afternoon (21 September), as complete with the misery of seeing their team fail to come back to win against divisional rivals Philadelphia Eagles, during the eventful final quarter they were the first to witness a preview clip for the new 18th season of animated comedy series South Park on Comedy Central. 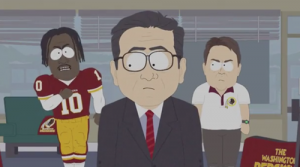 The clip featured the character of Eric Cartman running a business of some sort, only to be interrupted by Redskins owner Daniel Snyder, Coach Jay Gruden, and star quarterback Robert Griffin III, confronting him over the name of the business… The Washington Redskins. After Cartman notes he is free to use the name since the team’s trademark was revoked, the Redskins argue back in a lampshading manner that can be seen as a parallel to the arguments offended Native American groups have with the Redskins regarding the nature of the team’s 81-year-old name. It has been reported that the advert at its time of premiere only aired in the TV market for Washington, and had a mixed reception from Redskins fans, with some offended fans on Twitter crying ‘not funny’ at the clip, while other fans did see the humour. To ease the pain for the ‘offended’ Redskins support, the NFL team of choice for the creators of South Park, Cartman, and many of the show’s other characters, the Denver Broncos, suffered an overtime loss to the Seattle Seahawks in a Super Bowl rematch later that day. 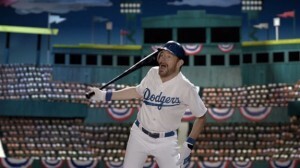 While his headlining work for 2014 includes Godzilla, All The Way, and a special reunion sketch, Emmy award-winning Breaking Bad actor Bryan Cranston can now add ‘baseball superstar’ to his resume of acting work taken on since the AMC series ended, as he participated in a ‘one-man show’ to promote TBS‘ upcoming baseball coverage. 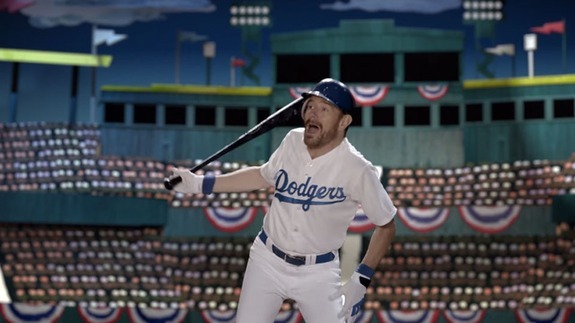 With the network set to air part of the post-season of Major League Baseball starting 30 September with their coverage of the American League Play-Offs 2014, Cranston has starred in a 6-minute commercial for the cable channel, in which he tries to encapsulate the spirit of baseball and post-season with his lifelong dream performance, getting help along the way with theatrical experts, a former Polo Grounds stadium organist, and former Boston Red Sox pitcher Pedro Martinez. 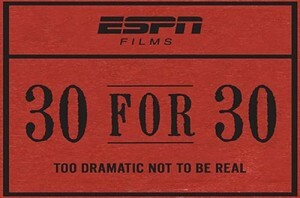 Claiming to be inspired by the works of Bugs Bunny, Cranston attempts to convey the emotion of a post-season by playing every position on the field, in the booth, and on every team (presumably, with some of the video’s featured franchises already out of play-off contention).